On June 6, 2014, we had our first ever Funky Friday Farming event called “Pass the Peas.” This was our way of celebrating peas, and funk music, through a James Brown classic. As the video above demonstrates, it indeed got a little funky in the garden. In addition to getting down, we also harvested 6 pounds of sugar snap peas. 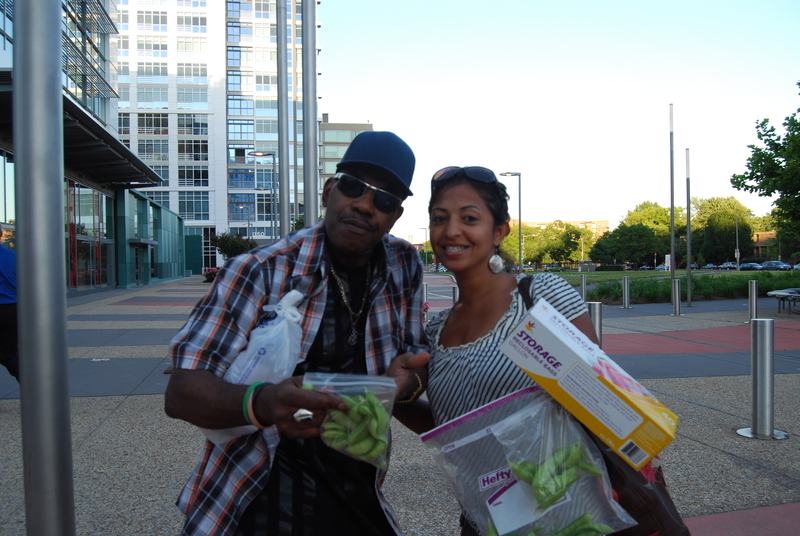 We then proceeded to follow the godfather of Soul’s instructions to “pass the peas” – we passed them to volunteers, kids, and folks in front of the Waterfront metro station.